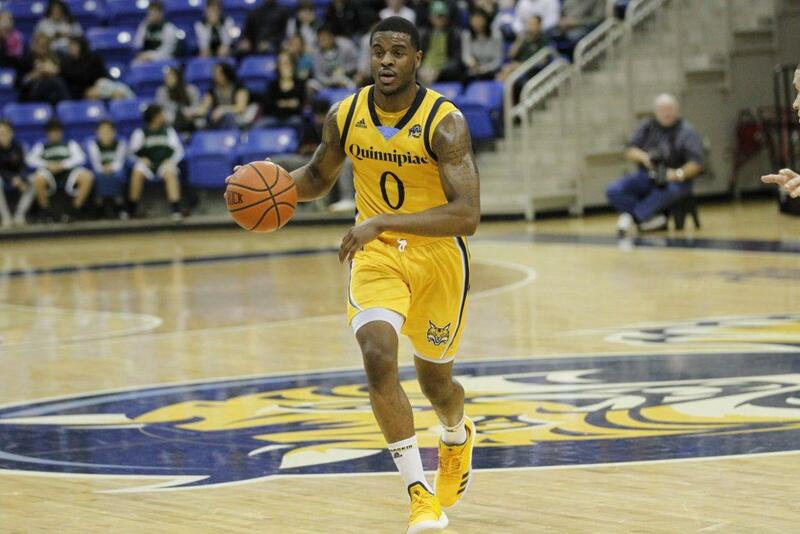 The Quinnipiac Bobcats (3-4, 0-0 Metro Atlantic Athletic Conference) will host the Lafayette Leopards (2-6, 0-0 Patriot League) on Saturday at 2 p.m. at the People’s United Center in Hamden. The Bobcats are back home after a three-game road trip in which they went 1-2 with their only win coming against the Dartmouth Big Green. The Bobcats have four remaining non-conference games before they begin playing a much-anticipated conference schedule. The Leopards are entering Hamden coming off three straight losses to Cornell, Sacred Heart, and Connecticut. This game should be a great battle between two teams hungry for a win. Robinson has come off the bench in every game this year for the Bobcats, but don’t let that distract you from the fact that he’s one of the most dynamic players on the floor. The senior guard from Takoma Park, MD averages just under 30 minutes a game for the Bobcats, contributing roughly 7 points, 3 rebounds, and 2 assists a night. In addition, he leads the team in three-point shooting as he’s shot 14 of 39 for 36% from behind the arc. Watch for Robinson to be big factor in this game. The sophomore guard from Midlothian, Virginia has been a phenomenal on the court for the Leopards this season. Petrie is major part of the Leopards offense as he is contributing in all facets of the game, averaging 13.5 points, 3 rebounds, and an assist. He’s especially dangerous on the perimeter, where he is shooting 27% from behind the arc. Look for the three ball to be a big part of Petrie’s game on Saturday as opposing teams are shooting over 36% from three against the Bobcats. The Bobcats are at their best when they can control the pace of the game and that all starts on the glass. Kevin Marfo has been a force for the Bobcats thus far, averaging just under 10 rebounds a game. If the Bobcats can take control of possession and play the game the way they want to then it’s going to be hard for the Leopards to do anything offensively. The leopards are off to a slow start in 2018 and their struggles have stemmed from their inability to maintain possession. Lafayette has averaged five more turnovers than their opponents this season and teams have really capitalized on the extra possessions. Look for Quinnipiac to be aggressive early in this game and force Lafayette to turn the ball over. If the Leopards can play clean basketball for 40 minutes they will have a much better chance of taking down the Bobcats on their home court. Make sure to tune in on Saturday at 2 p.m. to QBSN’s live broadcast of Quinnipiac Vs. Lafayette basketball from the People’s United Center in Hamden, Connecticut. Tom Krosnowski and Ryan Flaherty will be on the call of the game. For live updates throughout the game, follow @QBSN, @Tkro42, and @RyanFlaherty18 on twitter.